What is better than send your loved ones a tasty cake and some flowers. 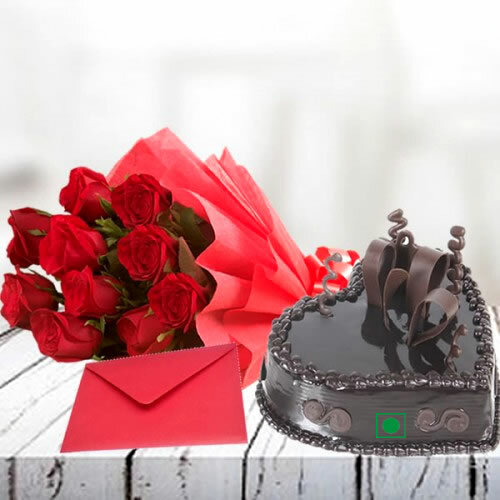 Gift Jaipur allows you to send hamper of cake and flowers Jaipur. When you buy cake from this combo, you get to choose the kind of flavor you want for the cake. After you order cake, the cake delivery along with the flowers will be made within a few days. We provide the best cake online for you to choose from so that you can enjoy it the most. We also understand that many people have allergies or just don’t consume eggs, so we sell only eggless cakes for all our customers.